Below, you will see two videos that capture behind the scenes maintenance at TPC Sawgrass. The videos are great insight to what it really takes to set up and maintain at a true championship level! Hats off to the maintenance team and volunteers! Best of luck this weekend! What you will quickly recognize is the amount of people, commitment, and equipment that is involved to get ready for such an event. It really is brilliant and captivating. I’m sure if you’re in the turf industry, you feel inspired the same way I do. Categories: A Word from the Superintendent... | Tags: golf, PGA, TPC sawgrass, turf | Permalink. “Frost delay” is a term that can be very common on a golf course in the spring months. These delays can sometimes be brief, but can also last as long as 2 hours depending on how quick and warm the atmosphere gets. Frost is something that can be very damaging to grass especially when it is driven on or it sees a lot of traffic. Frost forms even when temperatures are not necessarily at 32F. 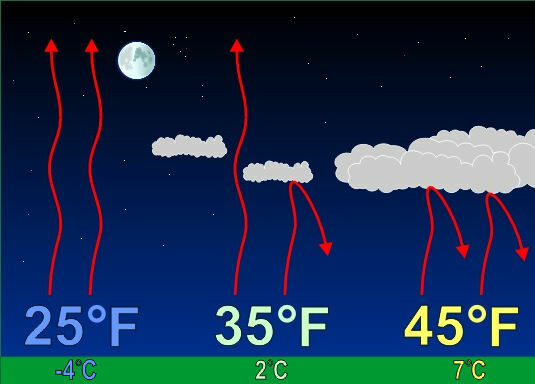 If the sky is clear at night or early in the morning, a process called radiation cooling takes place. This is when the earth loses heat and moisture trying to balance the earth’s energy. Through evapotranspiration, the plant also loses moisture to the atmosphere. If the temperature is cool enough, the cells inside the plant tissue start to freeze. If the plant is walked or driven on, the cells can burst and potentially kill the plant. This is why black or orange tracks are typically seen going across a fairway, tee, or even sometimes, a green. If you are using a pull cart during a frost delay, please be mindful as to where you travel on the course. Thanks to the GCSAA for this published article. Please click on the link for more information, GCSAA Frost Delay Announcement. I understand that frost delays can be very frustrating, especially if you typically play early in the morning. However, I ask for your patience and cooperation during these delays. It is definitely for the health and playability of the turf. We aggressively monitor the conditions and allow carts and traffic to resume on the turf as quickly as possible. Thanks for your understanding! See you on the course! 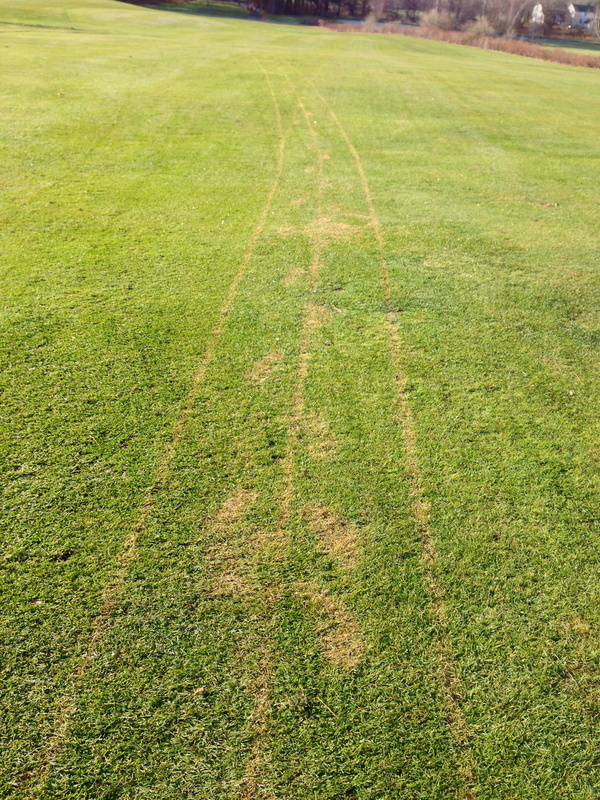 This is a perfect picture of what simple foot traffic and a pull cart can do to grass during a frost. These tracks will be seen for 2-3 weeks depending on how aggressively the grass is growing. Categories: A Word from the Superintendent..., On the Course | Tags: april, frost, golf, turf | Permalink. It’s official, the South course has 18 holes open today. 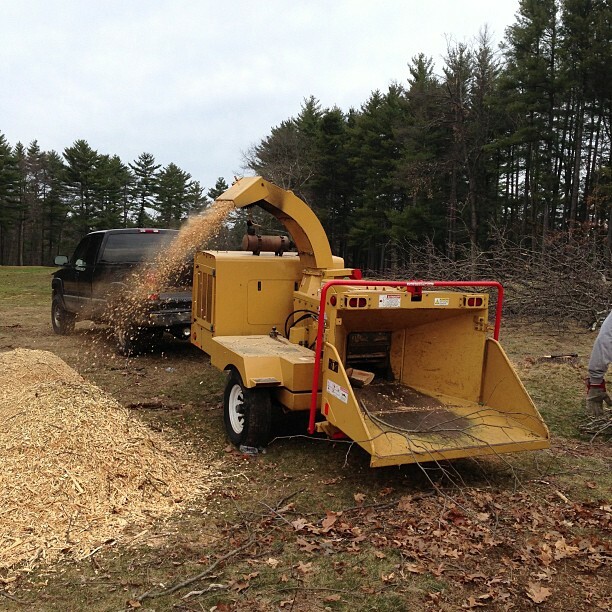 The staff has been working vigorously to get debris cleaned up and removed from playable areas. Cups have been cut, bunkers have been raked, tee markers placed in position, and trash barrels put back on the golf course. Currently, there are only two small adjustments from the normal course setup. The tee markers on 4 have been moved up to the 200 yard marker and plays as a par 3. This was done to avoid the wet end of the fairway for now so the hole is a bit more playable. Also, there is a temporary green on 10. The left side of the upper portion of the fairway and the left side of the green are still covered in snow causing very wet conditions. We hope to open this green as soon as weather allows. Both golf courses came through the winter extremely well. The North course still has snow in some areas not allowing us to open just yet. Holes 3, 4, 5, 11, 14, and 15 all have some snow and its up to the warm weather pattern to move in and melt it off in order for us to open. The staff is out in full force today and tomorrow continuing to clean both courses. We are mowing the front 9 greens on the South today and the back 9 will be cut tomorrow. You will also be excited to see the extensive tree work done on the right side of 10 fairway. This will allow for a more forgiving tee shot to be played down the right and actually give you a shot to get around the corner and up the hill. We are excited to be back outside, even though it is still a little cold out, preparing both courses for regular play. Other extensive tree projects to note are 7 North behind the green and 17 North to the right of the green. These trees have been removed for safety and playability, but will also add aesthetic value to both holes. The golf season is here! We look forward to seeing you on the course! Categories: A Word from the Superintendent..., On the Course, Projects | Tags: april, golf, spring, turf | Permalink. This time last year, it seemed as though golf was in full swing in Stow, MA. 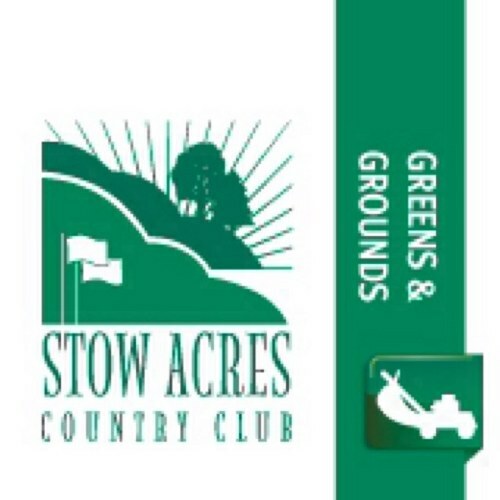 At Stow Acres, we are eagerly awaiting the chance to get on both courses and begin spring cleanup and preparation. However, the snow from this past Tuesday is only slowly melting off due to this ridiculous cold weather, low dipping jet stream pattern we are stuck in. Hopefully this week looks promising, as temperatures may reach 50F during a few afternoons. Thanks to Adam Moeller, USGA Agronomist, for this well written update on turf grass conditions currently in the Northeast region. The cold weather experienced this March is far different than March of 2012 for the Northeast Region. Last year, many courses in the Northeast were open and had plenty of golfers playing at this point. The recent blast of cold air and snow that hit many parts of the region has golfers and course superintendents wondering when the golf season is going to start. The long range forecast suggests a continued stretch of cold weather, which is likely to slow the spring green-up and growth at many facilities. However, golf diehards are still eager to play despite the cold temperatures. The decision to open the course for play before the grass is actively growing is a difficult one, especially given the economic outlook for many facilities. Heavy traffic on grass that is not growing could weaken the putting greens and make them vulnerable to problems later in the season. 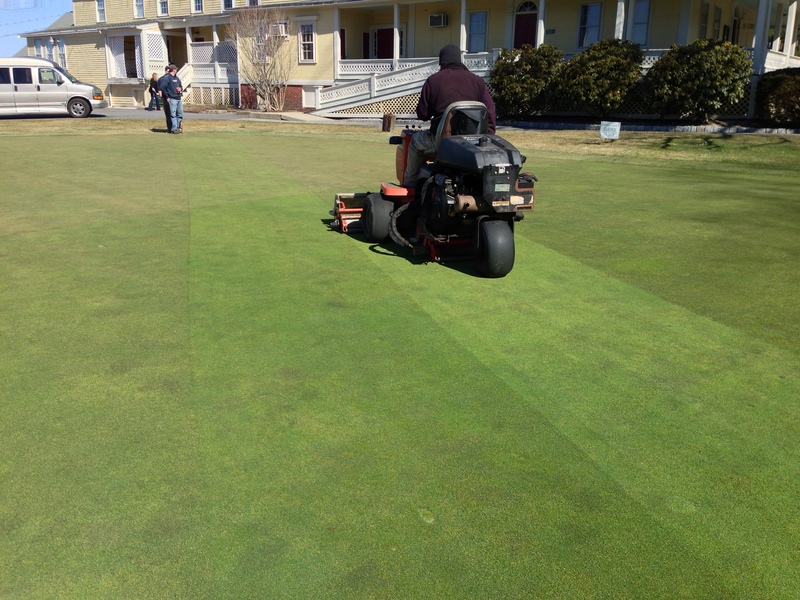 If the greens are open for play before they are growing, be mindful that adequate traffic management is important to avoid concentrated wear from developing. The cold temperatures are also making it challenging for golf courses still trying to recover from Hurricane Sandy. Those facilities that lost grass from flooding are in the process of cultivating and seeding the damaged areas. Germination is dependent on soil temperatures so the recovery process will be slow as long as low temperatures persist. The use of covers to warm the soils is a great option until more consistent warm weather is experienced. One positive that could develop as a result of the recent cold snap is the impact on insect populations, particularly Annual Bluegrass Weevils. These destructive and difficult to control insects can survive the cold winter temperatures well. However, once warmer temperatures are experienced in the spring these insects wake up and lose their tolerance of cold temperatures to some extent. Therefore, it is possible that the cold weather experienced after the previous warmer weather in the first half of March could prove to be lethal to some of these insects. Regardless, monitoring Annual Bluegrass Weevil activity with pitfall traps and soap flushes is crucial to implementing a successful control program. USGA agronomists can provide insightful and invaluable information involving all areas of golf course maintenance, which will help maximize turf health, playability, and efficiency. We will continue to update you with course conditions as we get closer to opening. Stay tuned! Categories: A Word from the Superintendent... | Tags: golf, March, turf, USGA | Permalink. I felt the Golf Industry Show in San Diego this year was a success. The event was extremely well run and organized as usual. The event site was perfect, and with the exception of getting trapped for an extra day due to the blizzard, the whole week was exciting and busy. As I mentioned in a previous post, the week is jammed with education. Whether you’re enrolled in fee-based seminars on Monday and Tuesday or taking advantage of one the fantastic free educational seminars sponsored, this year, by Precision Laboratories, there is always education available. I know that I definitely return to my facility a more educated manager of not just turf, but many other qualities that a successful manager may need. Conversations that are held on the trade show floor or in networking events help inspire new ideas for the upcoming season. Being in the Northeast, we are fortunate to have a few months to be able to regroup and actually spend some time working on these new ideas. This week-long event helps us to become better at what we do. Thanks to our owner, Walter Lankau, for making this possible each year. Please enjoy the videos below, produced by GSCAA.tv, that help explain a little bit about the week at the Golf Industry Show. Categories: A Word from the Superintendent... | Tags: GIS13, golf, san diego, turf | Permalink. Although my relationship with Michael Stachowicz is not extremely close or extensive, after reading his most recent blog post this morning, I felt immediately related to him. Any one person that can write with that much emotion and put it all on the line for industry professionals to read welcomes you into just little a view of his daily thought process. Someone of his stature, wisdom, skill, and work ethic offers this side of, “Hey, this is the real me and this is what I’ve dealt with” allows the reader to connect mentally. So I called Mike. I had never talked to him on the phone, but we talked for 30 minutes. Knowing full well all of the topics we would have in common through the blogosphere and twitter land, the conversation was enlightening and educating. After reading his post and then talking to him on the phone, I know this man is destined for continued and future success. I feel as though his post demands publication in not just turf magazines, but clubhouse business and PGA magazines. It’s the type of message that everyone that is invested in the game of golf should read. It’s important, serious, emotional, and even a little psychological. Please read the following, you will not be disappointed. Categories: A Word from the Superintendent... | Tags: clubhouse, GIS, golf, golf business, PGA, turf | Permalink.